Anyone who knows me well knows that "The American President" is one of my favorite movies. If it is a favorite of yours as well, you may recognize that the actress who plays Press Secretary Robin McCall also plays National Security Advisor Dr. Nancy McNally in "The West Wing". 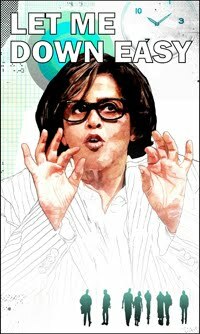 The actress is Anna Deavere Smith. This week in my "Qualitative Research Methods in Community Health" class, we discussed ethnography. Specifically we discussed Ms. Smith's work as an example of performance ethnography. For over a decade, she has interviewed people across the country and used the "data" to develop a one-woman show. Her newest play is called "Let Me Down Easy" and its goal is to show the human side of the national health care debate. I highly recommend viewing the 10-minute excerpt and interview here. I'm so sorry that I missed her play when it came to Philadelphia earlier this year because I think it is an amazing example of the richness of data collected using qualitative methods. It is often argued that qualitative methods are too "soft" and limited in view. I've heard them described as "basically just journalism". However, I would argue that qualitative methods are essential to the success of public health. Instead of surveys and databases, these methods collect data via interview, discussion, and observation. The research is meant to discover the complex relationship between personal and social meaning, individual and cultural practices, and the material environment or context. In contrast to what we have learned since grade school science about the scientific method and generalizability of findings- here the focus is on obtaining a deeper understanding of a population or phenomenon. Ms. Smith conducted over 300 interviews for "Let Me Down Easy" and ultimately condensed her findings to show the experience of contemporary health care through the eyes of 20 individuals. These kinds of stories are incredibly powerful in public health. They open our eyes to challenges that we never would have found via survey...because we wouldn't have known to ask the right questions. They allow us to share stories with policymakers so they can see the impact of their decisions beyond the sterile statistics often cited. They can allow us to explore experiences or illnesses that occur in too small a population to survey. Ideally, quantitative and qualitative methods should be used together to create the strongest public health research design possible. It should not be us vs. them...but instead a joint effort. I encourage us all to see the human side of health care reform when Ms. Smith's play airs on PBS "Great Performances" next season.